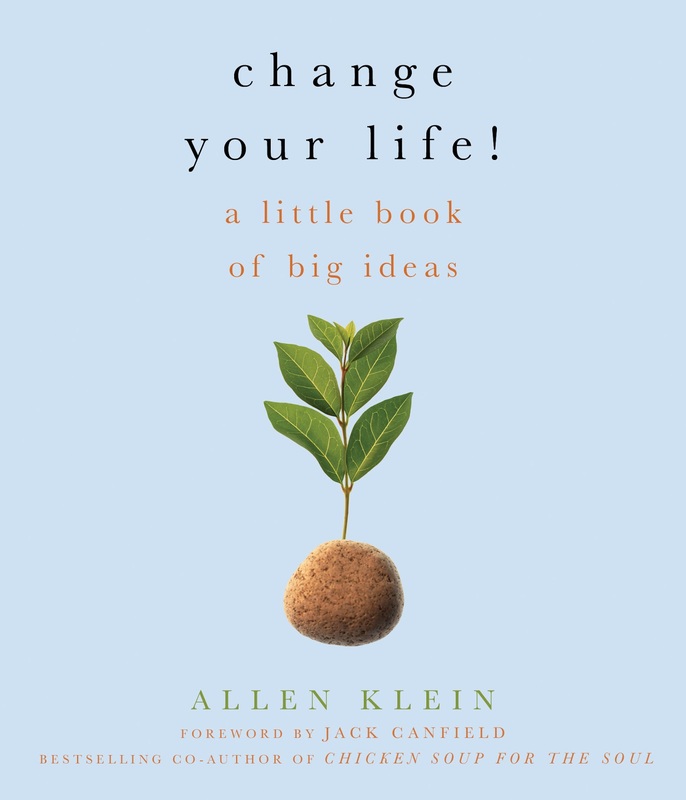 In this most helpful book, Allen Klein shows how to transform your attitude toward loss, whether it be a loved one’s death, the loss of a job, or the trials associated with aging, in order to return to living life more fully again. As a pioneer in the field of loss and crisis intervention, I have seen many ways that people cope with grief and loss. Sometimes laughing is a healing medicine. The eminent psychiatrist, Viktor Frankl, a concentration camp survivor, provides perhaps a most powerful example. Everyday he found something funny to laugh about. He credited his survival, in part, to humor. It gave him hope to look forward to each day. It afforded him the power to rise above an almost powerless situation. I say, “almost,” because Frankl attributed his survival to attitude, the real power one has over any situation. 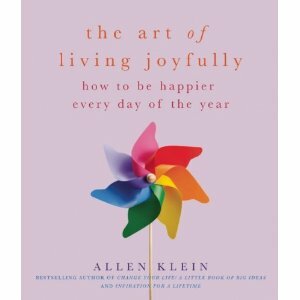 Klein is no stranger to the value of therapeutic humor as an attitude-changing tool. From his experience as a former home health aide and hospice volunteer, as well as from the personal and career losses in his life, he has amassed a wealth of compassionate wisdom. This knowledge is presented here in a very easy-to-digest, helpful, and reader-friendly format. Like Elizabeth Kubler Ross’s five stages of dying, Klein has created what he calls “the five stages of living” after loss. They are Losing, Learning, Letting Go, Living, and Laughing. 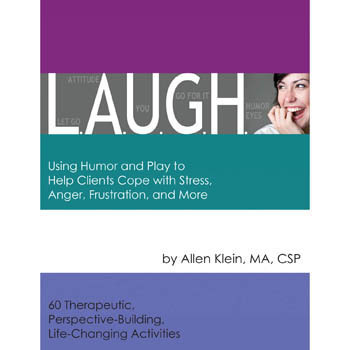 In one of his previous books, The Courage to Laugh: Humor, Hope, and Healing in the Face of Death and Dying, Klein imparted encouraging stories of how those who were facing life-threatening challenges, from such crises as cancer, AIDS, lingering loss, or sudden loss, had used humor as a meaningful coping tool. In the book, Learning to Laugh When You Feel Like Crying, Klein goes a step further. 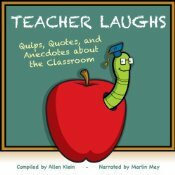 With inspirational quotations, lessons from diverse cultures, and heartwarming advice, he provides numerous suggestions for finding humor during those not-so-funny times. While death, dying, and loss are no laughing matter, those who find a bit of humor in the grieving process know that they will survive. When laughing, you have a moment’s respite in what is often an overwhelming circumstance. It is a wonderful way to communicate at a time when communication is often at an impasse. In addition, you gain a different perspective at a difficult time and rise above life’s adversities. And, perhaps the most important gain is that humor and laughter, as Frankl discovered fosters hope. I have always been intrigued with the power that hope provides during a crisis. Without hope all is lost. There are many books about coping with grief and loss. I have written a few of them myself. But Learning to Laugh When You Feel Like Crying is unique because of its focus on enduring losses, learning from them, and beginning to live and laugh again. I hope that you will read this book. For it will not only provide you with hope but also with a passion for life. The man sitting next to me on a recent flight was terrified of planes; he couldn’t stop shaking. him to press it if he wanted another drink. He promptly stood up, pushed the button, and held his glass underneath it. last until the coffee is cold. Laughter and the loss of a spouse on Open to Hope TV show. Many moons ago, I lived in New York City and worked as a scenic designer for CBS television. One of the shows I designed was Captain Kangaroo. It was great fun except at Thanksgiving time. You see the Captain was the MC for Macy's Thanksgiving Parade so I had to be in the studio every Thanksgiving at 6am in the morning to supervise the set I designed. While most people were at home sleeping in on the holiday, I would be off to work at 5am. I no longer work in television and now live on the West coast but I still am enamored with Macy's Thanksgiving Day parade and watch it every year on TV. Last year, while watching, I got a longing to be part of the parade again. Instead of being behind the scenes, as I used to be, I wanted to be in the parade itself. I had no idea how I'd make that happen but I somehow knew it would because once I put my intention on something, it usually comes true. One of the reasons for that is that I believe that we are six-degrees of separation away from someone who can help get whatever it is that we want. For several months I asked everyone I met if they knew anyone connected to the parade. Two people did and were going to work on it. But they weren't getting very far. So, one day I posted my desire on Facebook. Pretty soon after that a friend/colleague of mine, who lives in New York, said she would investigate who to contact at Macy's. Several days later, she emailed me to say that it was too late to get in the parade but they were sending me an application anyhow. They did. I filled it out. And two days later, they said that if I want, I could march in the parade this year as a clown. So I contacted Macy's to thank them so much for inviting me to be in the parade this year but that I really wanted to ride on a float. The person in charge was most gracious and told me when to contact them next year and he could probably arrange my ride on a float. I'll let you know what float I'll be on so you can wave to me. I promise to wave back. P.S.- Doing this process made me realize three important steps in getting whatever it is you want. 1- INTENTION: Be very clear about what you want. 2- TELL THE WORLD ABOUT IT: Don't keep it a secret. How will others know what you want if you don't tell them about it ? 3- RALLY THE TROOPS: People love helping other people. Remember you are only six degrees of separation away from someone who can assist you in getting what you want. Oh, and one more thing...remember to be thankful for what you get. While working for an organization that delivers lunches to elderly shut-ins, I used to take my four-year-old daughter on my afternoon rounds. The various appliances of old age, particularly the canes, walkers and wheelchairs, intrigued her. One day I found her staring at a pair of false teeth soaking in a glass. As I braced myself for the inevitable barrage of questions, she merely turned and whispered, "The tooth fairy will never believe this." I knew I was going bald because it was taking longer and longer t wash my face. Did you know that I'm now a Health & Happiness writer for Examiner.com?